The NATAS Travel Fair is right around the corner! The fair will be hitting our shores from 17 - 19 Aug 2018, so be on the lookout for awesome travel deals for your next trip. 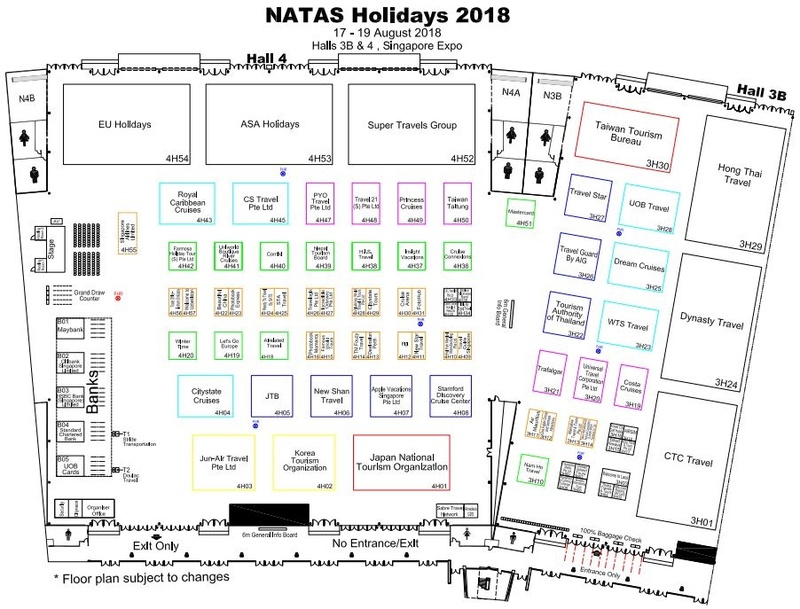 Stand a chance to win attractive prizes at the Grand Draw with every S$500 spent at NATAS Holidays 2018! Prizes include a pair of Premium Economy Class tickets on Singapore Airlines to Los Angeles, New York or San Francisco, cruises, air tickets, staycations and many more. Plus, double your chances to win at NATAS Grand Draw when you charge to your Mastercard card. Terms and conditions apply. The top three winners who charge their travel purchases to Mastercard cards will also win an iPad or Apple TV in addition to the NATAS Grand Draw prize. A minimum of S$2,800 charged to your Mastercard card at NATAS Holidays 2018 entitles cardholders to 1 reward. Rewards include dining vouchers, travel accessories, and more. Mastercard cardholders can redeem their gifts at the Mastercard Booth at 4H51. Limited to 3 redemptions per cardholder per day, and on a while stocks last basis. Mastercard Spend and Win Promotion terms and conditions apply.